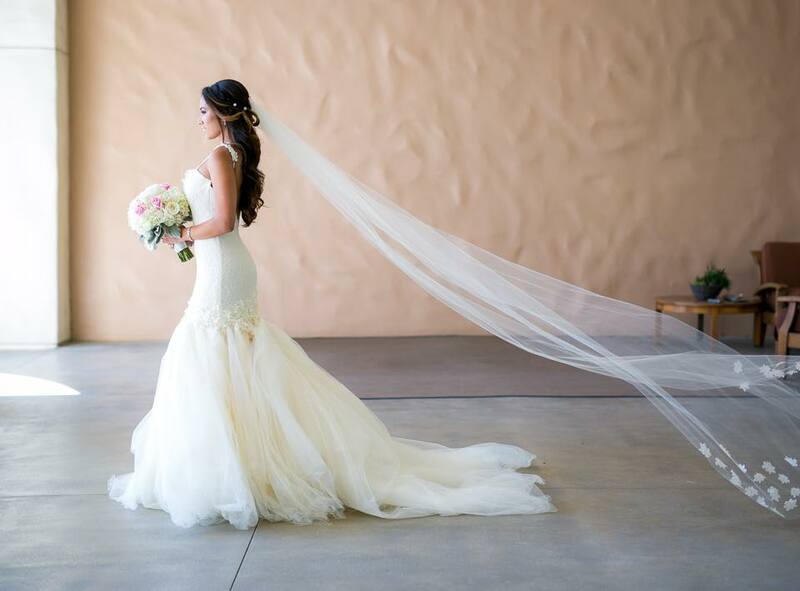 GOWN FEATURED: “AURELIA” by Lauren Elaine. 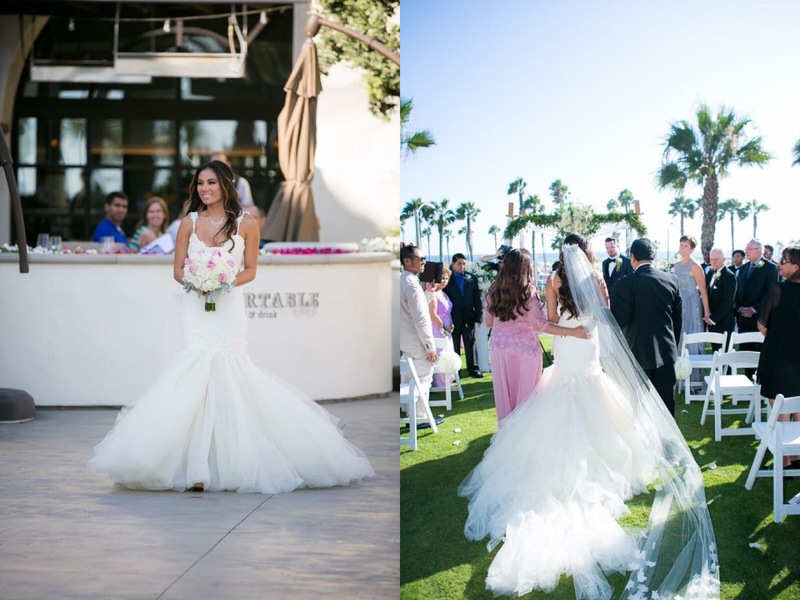 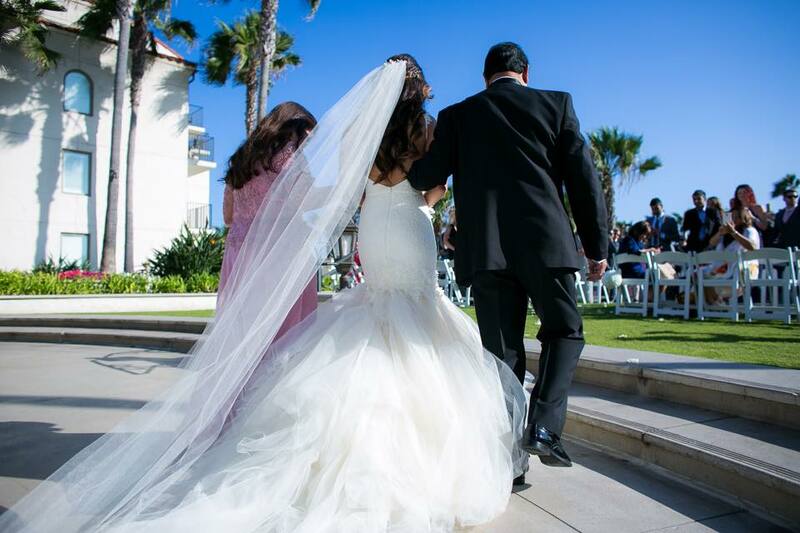 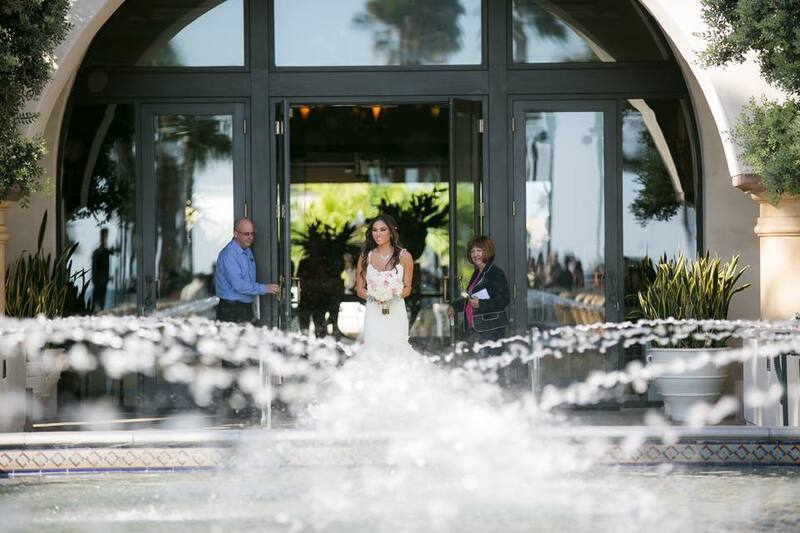 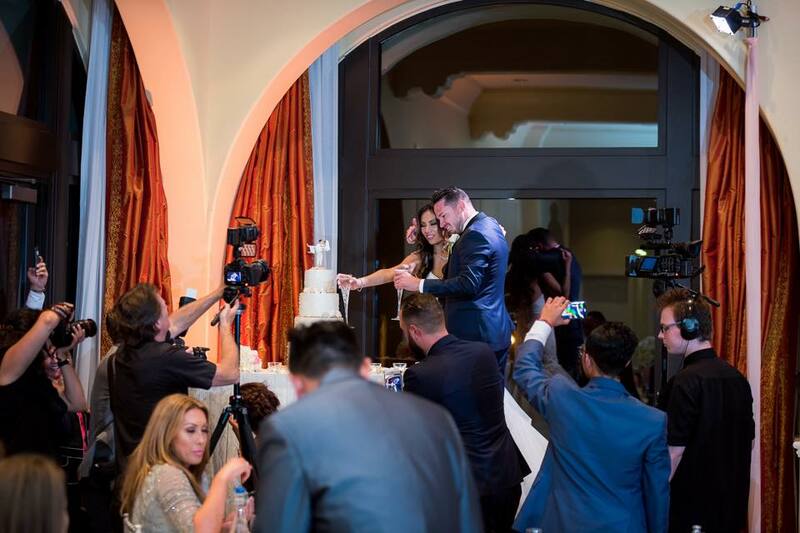 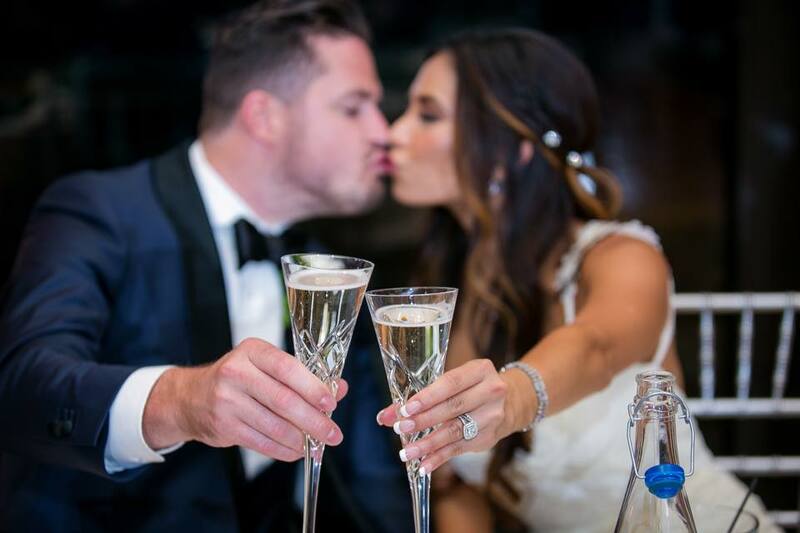 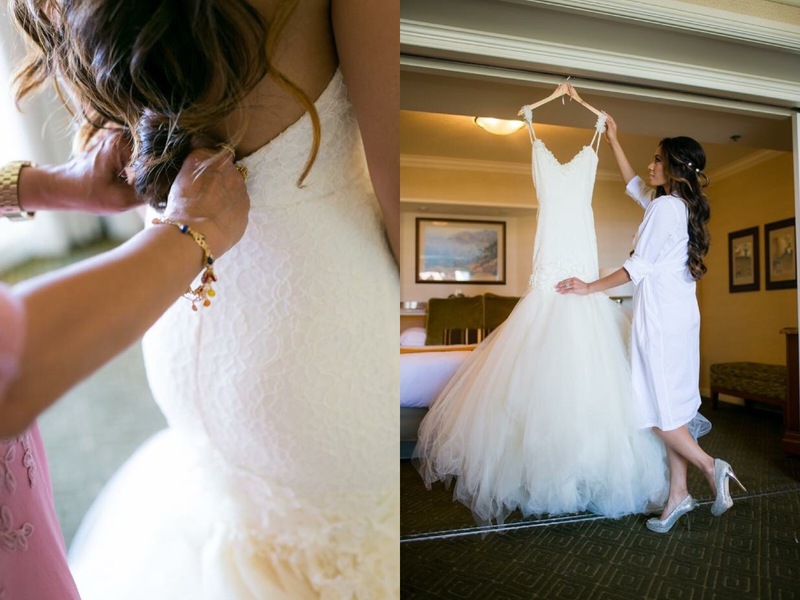 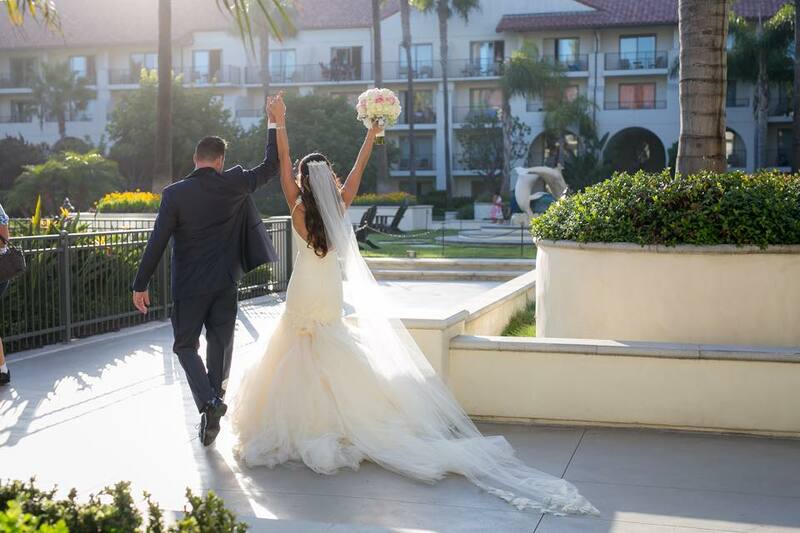 Glamorous, romantic, and full of happiness…all come to mind when looking at these swoon-worthy images of Bride Sunshine’s summer wedding (photographed by Christopher Todd ) at the Hyatt Regency Huntington Beach. 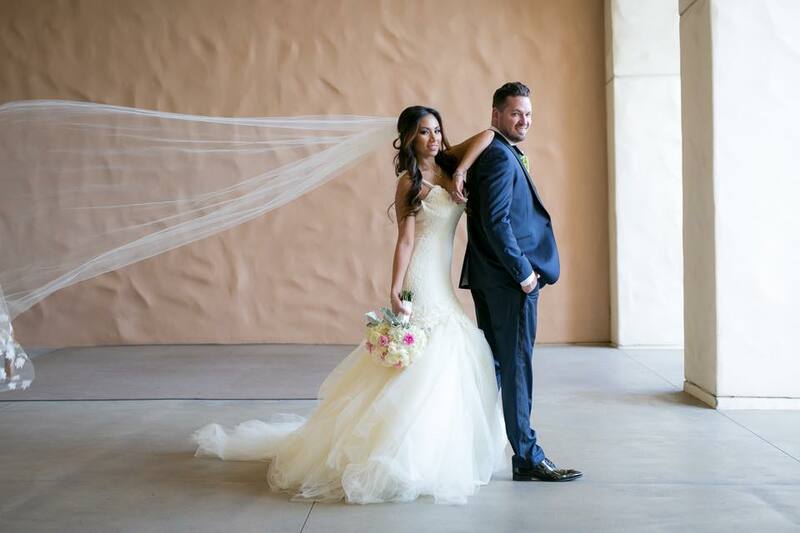 I had the pleasure of meeting Sunshine at our Style House in Los Angeles in January, and working with her to customize her “Aurelia” gown and cathedral veil. 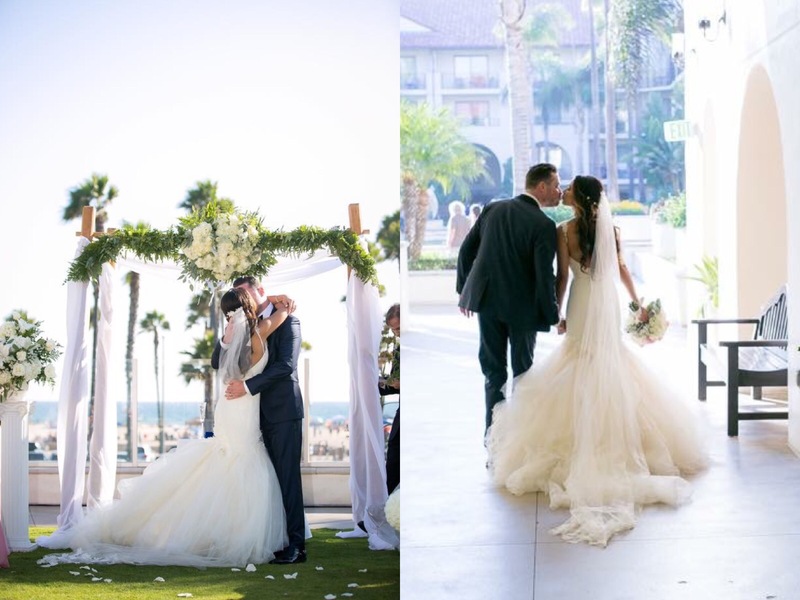 Pearls and flowers on her gown and veil complimented the lush floral details throughout her wedding, and perfectly suited her effortlessly glamorous ceremony. 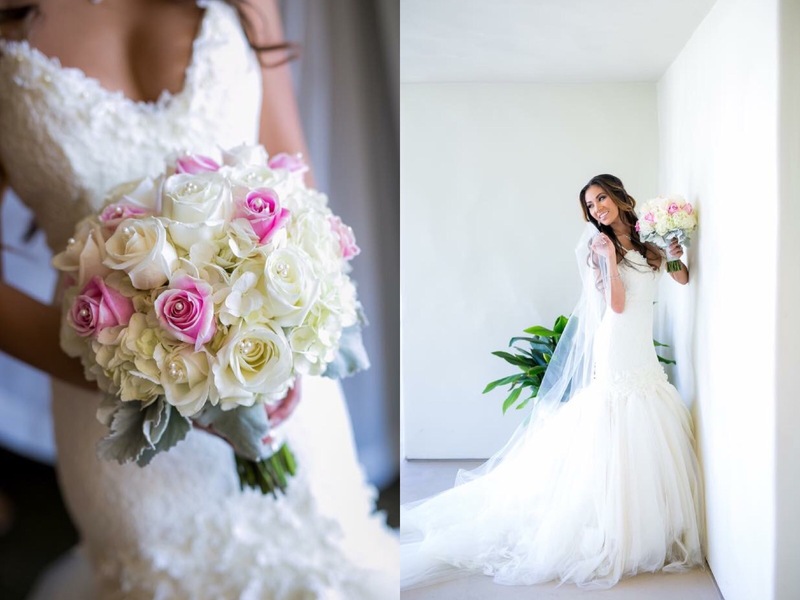 Sunshine, much like her name – radiates beauty and happiness- which is flawlessly captured in this gorgeous collection of photos.